The official website of the WDO. The latest news, results and reports. 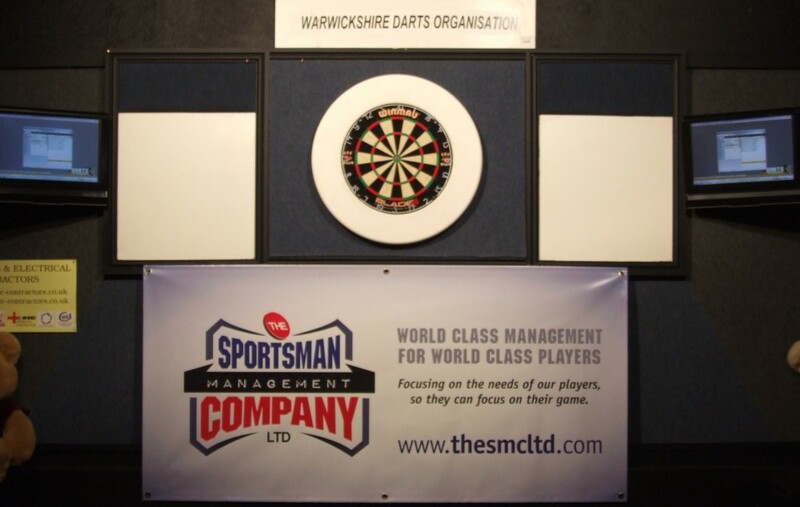 The Mens Superleague has now completed the qualifying rounds of the BDO/ EDO Events for the year 2019. The Winmau World Masters we already have Nigel Heydon who has qualified via the County Averages this season and also the fact he participated in the Lakeside World Championships earlier on in the year. Also Kevin Dowling and Ian McFarlane qualfy virtue of finishing the highest in the Superleague Averages. Kevin Dowling – Superleague Averages. Ian McFarlane – Superleague Averages. Warwickshire wish all these players the very best of Luck in their respective competitions. Bears stars in England Victory. Warwickshire Stars Kevin Dowling and Nigel Heydon were part of the victorious England Team that won the 40th British International Darts Championships held in Glenrothes Fife Scotland. Both games were very tense affairs with Wales drawing their match versus Scotland which left the weekend poised. England were finding things a little tough going 5-2 down at one point, but a last five having a resurgence winning four of them to gain a vital draw. Both bears players lost out, Kevin lost out John Williams Jones 4-3 with a 28+ average and Nigel hit a 26+ but missed doubles saw him lose out 4-2 to David Rogers. With the draw England found themselves at a -3 legs disadvantage going into their match with Scotland which meant a draw with a good + legs or a win which would allay that ruling. Kevin was on at five facing Alex Jeffreys and lost out again with a frustrating game in which doubles were missed aplenty. Nigel howevver put Engand in control with a performance that we have become expected to see hitting Scott Campbell 4-0 with a 29.91 ave, that left England 6-4 in front needing one more for the win which came in the final game of the day to complete the Championship. England Ladies had little trouble in winning their Championships with a fine 6-0 win over Wales and a 5-1 victory over Scotland. Former Bears star Trina Gulliver was star of the Ladies with two wins one being a high 28+. England Youth Boys also took top spot with an incredible performance from one of the Youth prospects Leighton Bennett hitting an amazing 35.79 ave. England Youth Girls lost out on Legs countback despite winning both games on the weekend. Warwickshire suffered a bad defeat in their latest BICC premier Division season where they were entertained by Hampshire. Ladies B was a disaster with a 6-0 whitewash. Must say that we should have maybe gained a few of the games but the elusive doubles again hit the girls badly. Mens B were off to a flyer when going 3-0 up with wins from Tom Martin, James Hykin, and a MOM from Gareth Braham with a superb 29.47. However the Bears only gained two more wins from Rob Comben and Dave Hill. 13-5 the overnight scoreline looked worse than it actually was as the Ladies looked to kick start the day but again missed doubles saw us gain a 4-2 loss with wins from Natlie Gilbert and LOM Sue Gulliver 23.12. Mens A had been in great form this season and this continued with a great 8-4 win, wins from Ian McFarlane, Steve Giddings, Dean Stewart, Kevin Dowling, Charlie Symons, Jamie Atkins, Nigel Heydon and an MOM from Steve Hine 27.79. Leaving the overall weekend score as a 21-15 loss. The Bears now complete their season with a home fixture versus Northamptonshire.